in the journal Science Robotics: Volume 3, Issue 17, April 2018.
and the Singapore-MIT Alliance for Research & Technology (SMART). seconds to locate the parts. objects into contact with each other. precise localisation in a cluttered environment quickly and reliably. be integrated with visual and tactile perception, grasping and execution. to be precise at positioning and are bad at regulating forces. the instruction manual, or even from an image of the assembled product. tasks are varied and do not merit specialised machines or assembly lines. manipulation has been limited to elementary tasks. 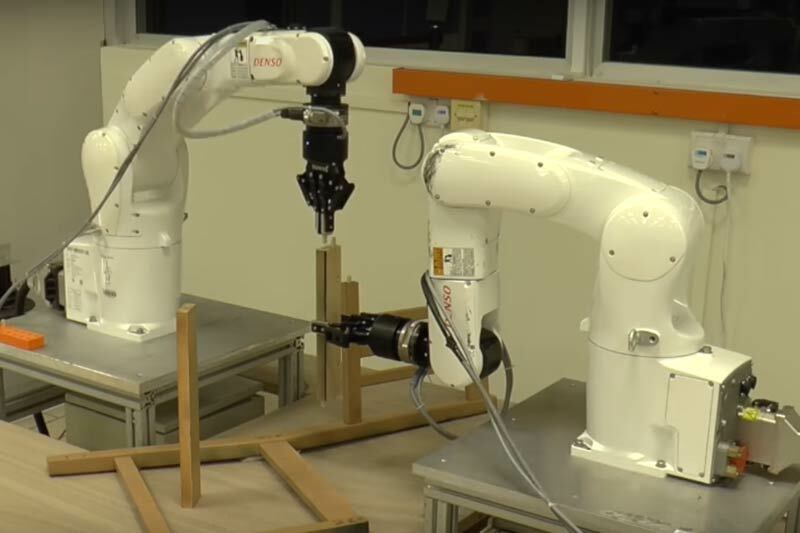 able to manage their complex interactions between the robot and the environment. would,” Asst Prof Pham explained. and hence, cost is not an issue.